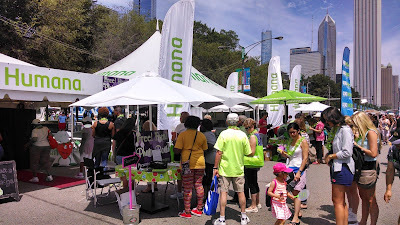 *Disclosure: This post is sponsored by Humana, which is providing tickets for a giveaway on the Chicago Foodie Sisters blog. Humana will also be providing me with complimentary tickets to enable me to sample Humana Healthier Choices items to share my honest opinions. I am receiving no compensation for this post and all opinions are my own. Coming soon is the grand foodie fest that Chicagoans wait all year for. The Taste of Chicago is a gathering of some of the most iconic and revered culinary spots in the city. ALL. IN. ONE. PLACE! It's an opportunity to nosh on the best of the best that Chicago has to offer...or at least the best of what you can eat while you walk around in the summer heat. No doubt there will be fried grub galore, but that's not all you'll find. Humana is once again working with the Taste of Chicago on their Humana Healthier Choices Program and for the first time in the 8-year history of the program, it has now identified vegetarian options to its designated offerings. This year's healthy food listing features 48 healthy food options, 34 of them vegetarian, from 24 of Chicago's participating restaurants. They've also identified additional Taste items that are gluten-free. That's huge! The gluten-free diet is becoming more widespread between those who opt to follow it for better health and those for whom it is a medical necessity. With strict guidelines to qualify as a Humana Healthier Choices menu item, a panel of five top Chicago-area physicians with expertise in diet and nutrition collaborated to compile this year's list. The panel included Amy Hess-Fischl, M.S., R.D, advanced practice dietitian and program coordinator at University of Chicago’s Kovler Diabetes Center; Kathleen Duffy, M.S., R.D., Diabetes Nutrition Educator, Rush Oak Park Hospital Diabetes and Endocrine Care Center; Rob Sargis, M.D., Ph.D., Assistant Professor, Adult Endocrinology, University of Chicago Kovler Diabetes Center; Donna Perisee, M.D., Ph.D., Humana Medical Director, Medicare Great Lakes Region, Health Services Organization; and Neal Fischer, M.D., Humana Regional Medical Director, Medicare Operations, Great Lakes Region. 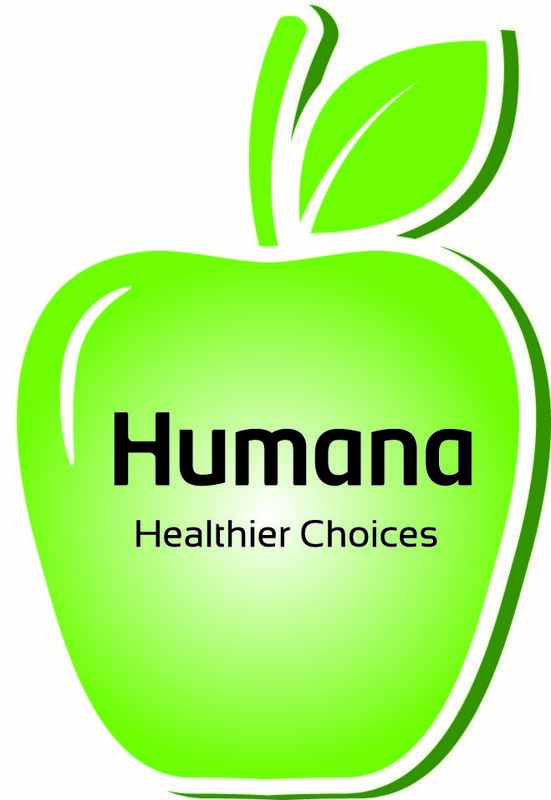 The Humana Healthier Choices will be identified by a green apple on the menu boards at participating restaurant booths. The Humana Healthier Choices list of items will be handed out at the Humana tent, located on Columbus Drive between Jackson Boulevard and Buckingham Fountain, and can be downloaded at the Taste of Chicago website and via facebook.com/TheTasteOfChicago. The 35th Annual Taste of Chicago is July 8–12 in Grant Park. Hours are 11 a.m. – 9 p.m. from Wednesday to Friday, and 10 a.m. – 9 p.m. on Saturday and Sunday. For more information on the FREE admission festival, call (312) 744-3316 or visit tasteofchicago.us. Find a full listing of Humana Healthier Choices items below. A panel of five top Chicago-area physicians with expertise in diet and nutrition collaboratively judged each item to assure that nutritional values were met. The panel included Amy Hess-Fischl, M.S., R.D, advanced practice dietitian and program coordinator at University of Chicago’s Kovler Diabetes Center; Kathleen Duffy, M.S., R.D., Diabetes Nutrition Educator, Rush Oak Park Hospital Diabetes and Endocrine Care Center; Rob Sargis, M.D., Ph.D., Assistant Professor, Adult Endocrinology, University of Chicago Kovler Diabetes Center; Donna Perisee, M.D., Ph.D., Humana Medical Director, Medicare Great Lakes Region, Health Services Organization; and Neal Fischer, M.D., Humana Regional Medical Director, Medicare Operations, Great Lakes Region.